Is it January already? Wow the time sure does fly when you are having fun! We need to rewind because I have not shown you all the wonderful things we did in December. So, I am rewinding the clock and I'm going to share some of our best memories of December. 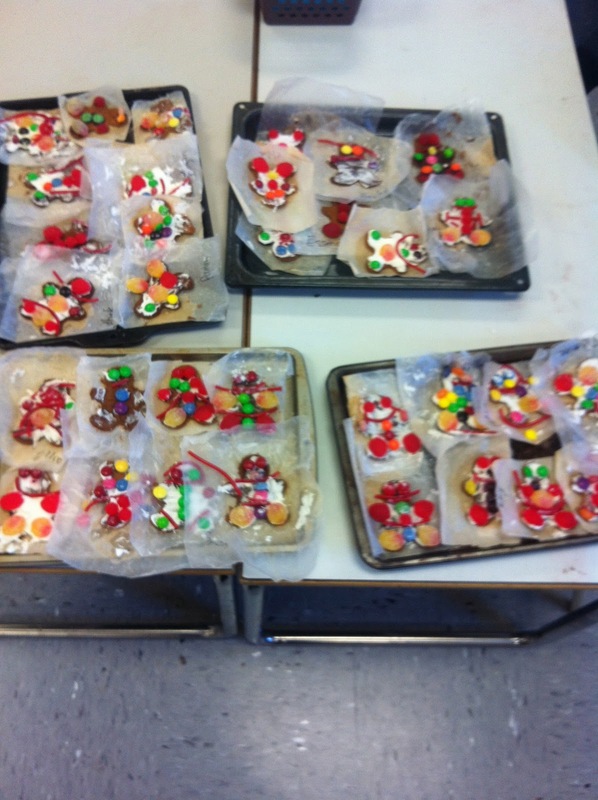 We started off December, making gingerbread men. We put the gingerbread into the oven and another teacher peeked into the sweet smelling oven and POP, the gingerbread men all came running out! We decided we were going to find those gingerbread men, so we brainstormed a list of things to do. 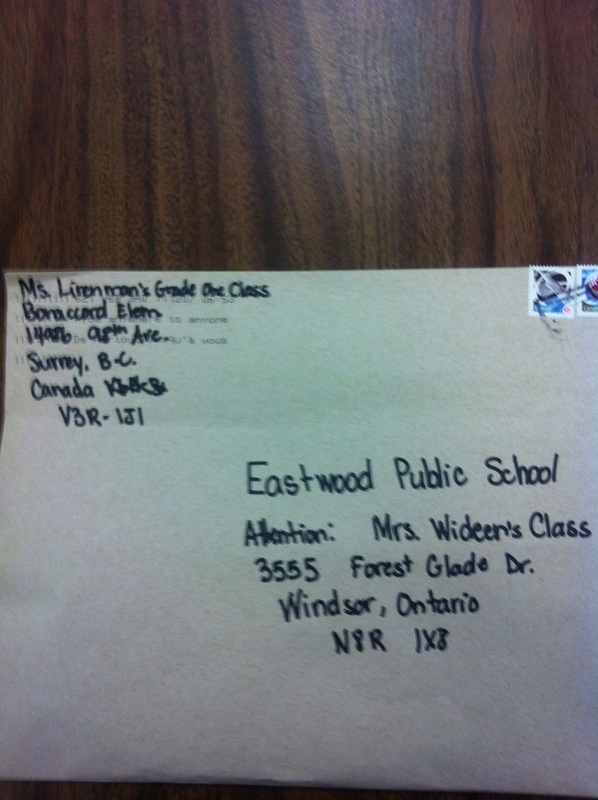 We decided that the first thing to do would be to post LOST posters around the school. 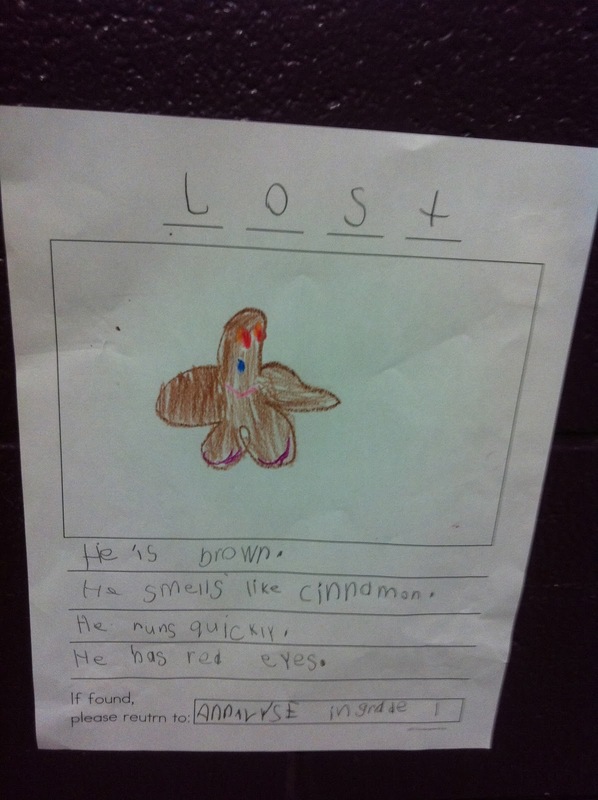 We made our posters and posted them but no gingerbread men. Our second step was to go for a hunt around the school. We knew that these gingerbread men were sneaky from all the gingerbread books we had read so we knew we had to be very quiet. Therefore, we took off our shoes and tiptoed through the halls. 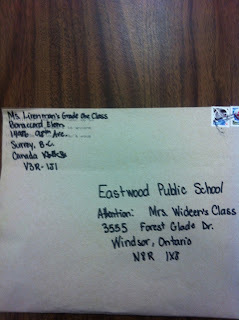 We could not find those sneaky men so we wrote a letter and went to different classes to see if they had seen our gingerbread men. We heard many stories and got many leads but we still could not find our gingerbread men. 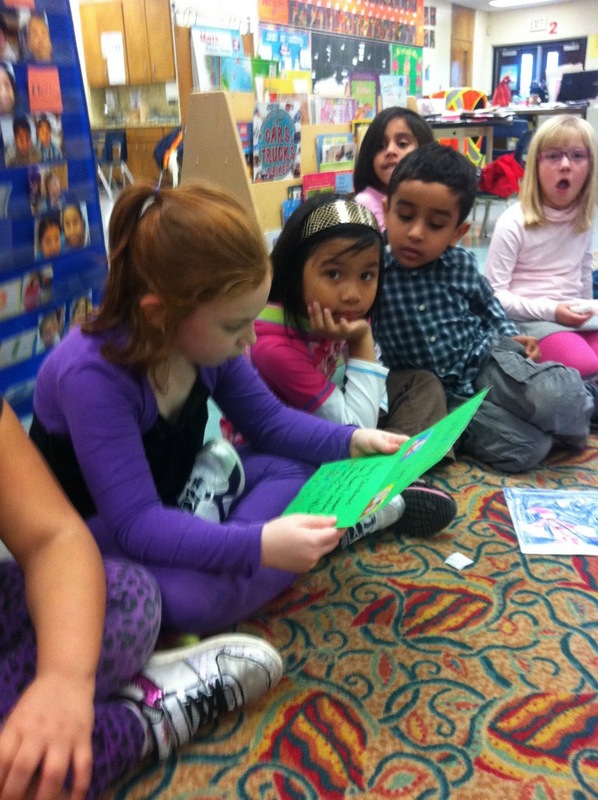 We decided to read a different version of the gingerbread man to get some more information about gingerbread men. We read "Gingerbread Baby." We got a great idea from the story. 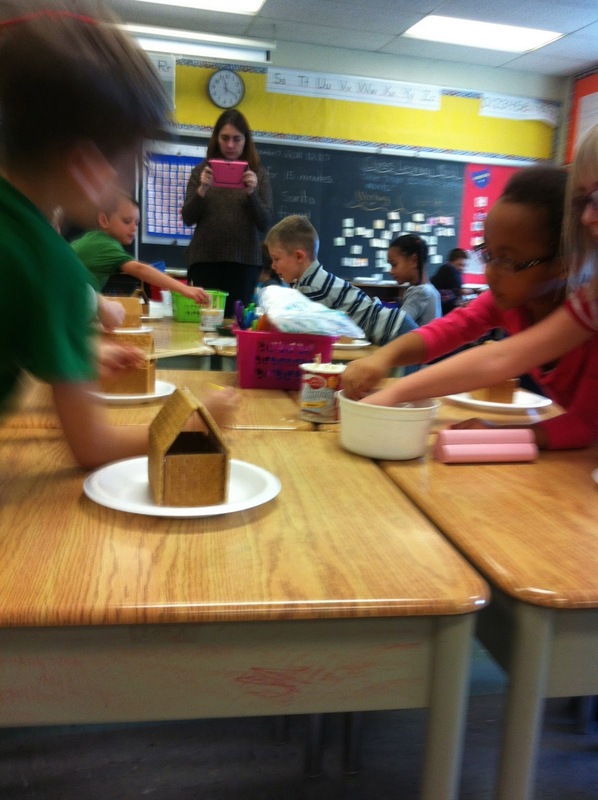 We decided to build our own gingerbread houses to lure the gingerbread men back. 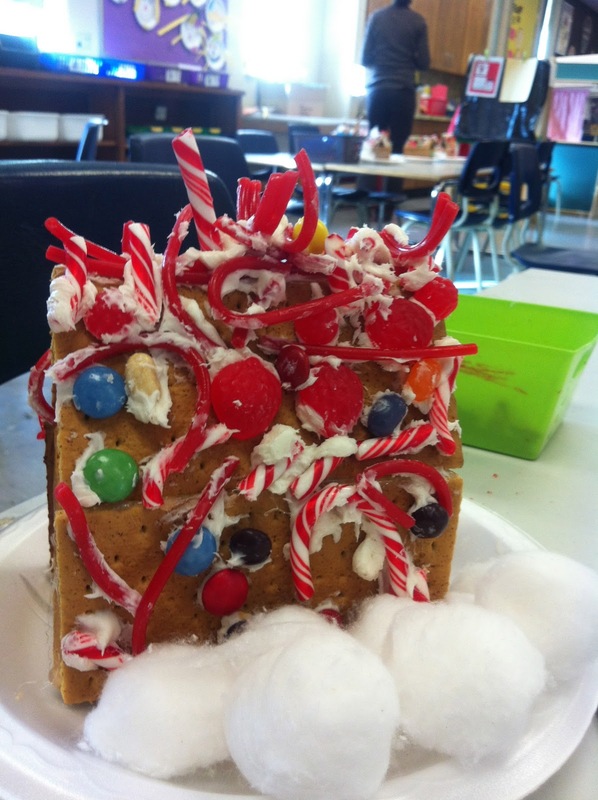 We put yummy icing and enticing candies on our houses hoping that the gingerbread men would find our houses irresistible. 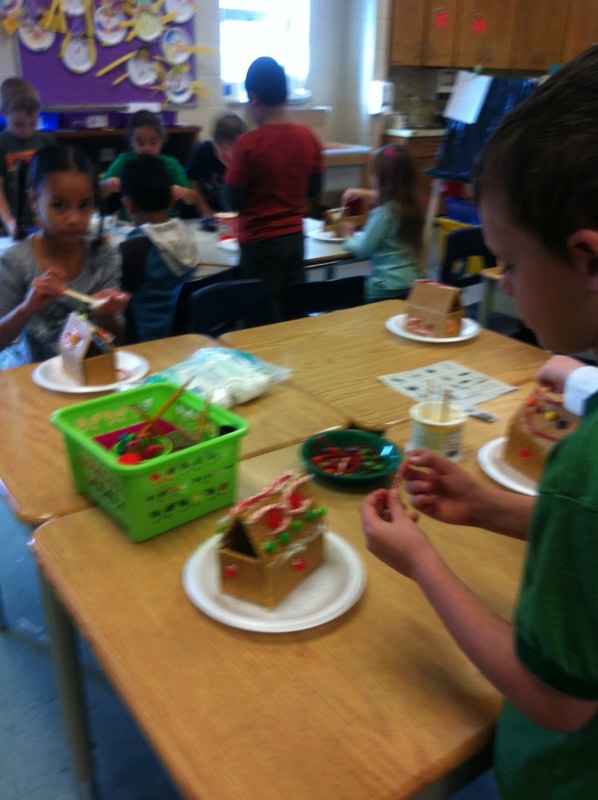 We finished our houses just in time for our fitness break. 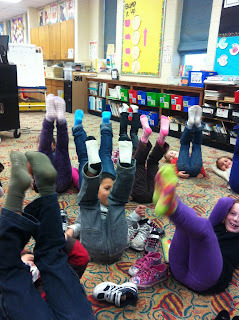 When we came back into the classroom from being outside, we realized that our plan had worked! 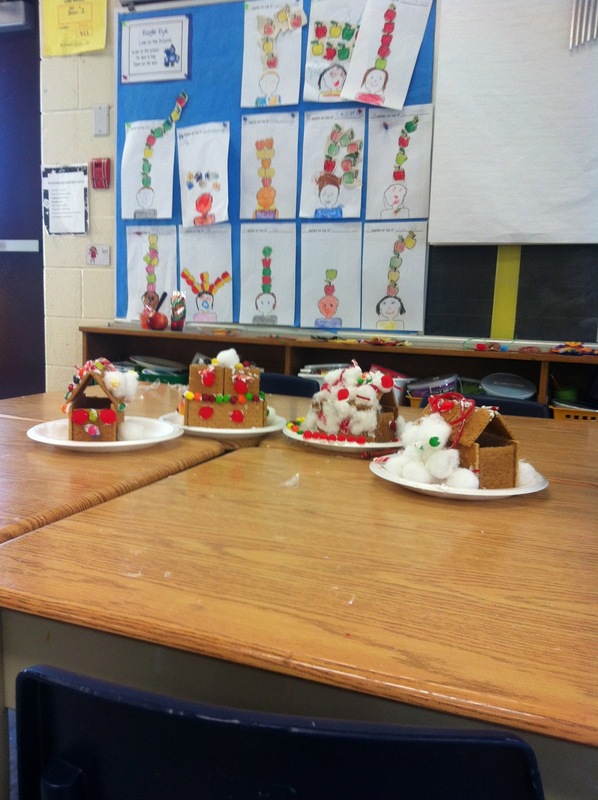 The gingerbread came back to our room and loved their new houses! 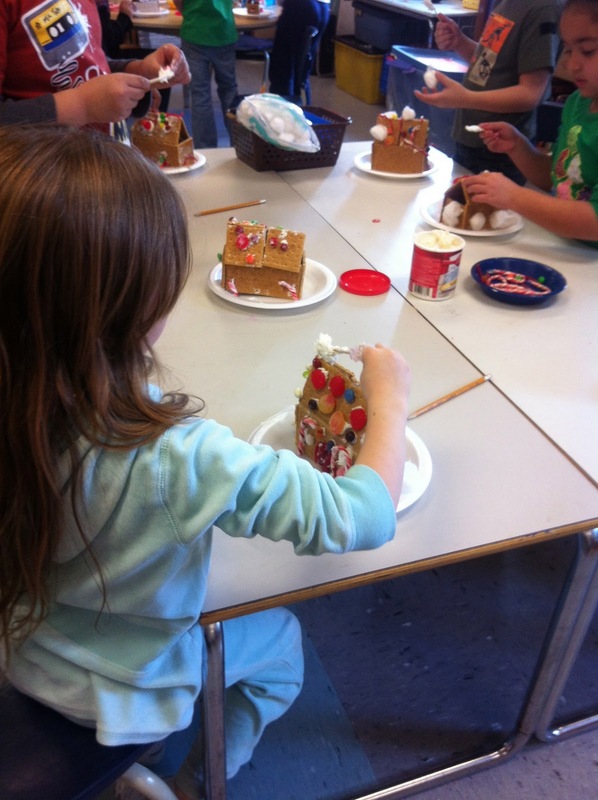 You can't see him, but the gingerbread man is in his house! 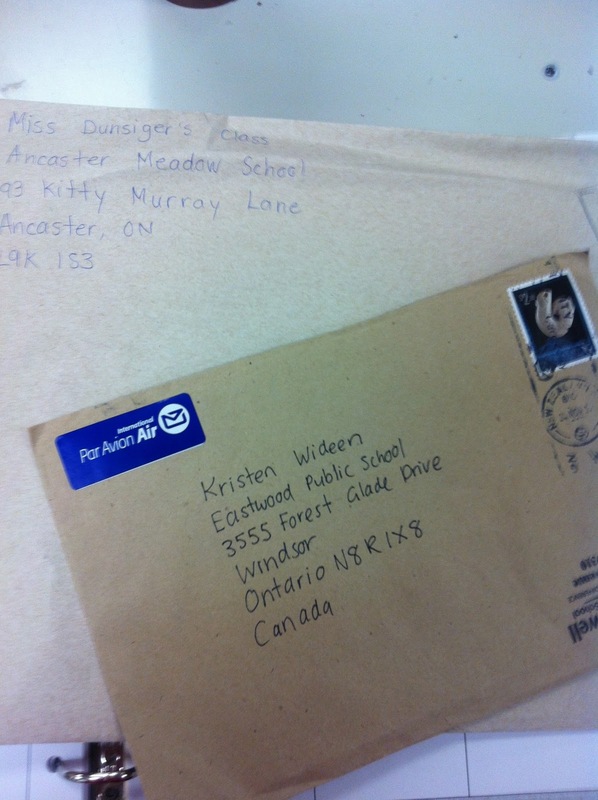 Another wonderful memory we have of December is receiving many Christmas cards from different schools around the world. We had a Christmas card exchange with students from British Columbia, New Zealand, Ontario, and different parts of the United States. We also skyped with one of the classes from British Columbia. They had a lot of snow when we spoke to them in early December! We have many more memories of December but this post is already very long! 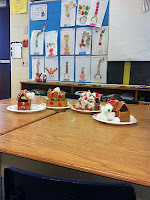 So, I will leave you with one more wonderful thing that happened in our classroom in December. 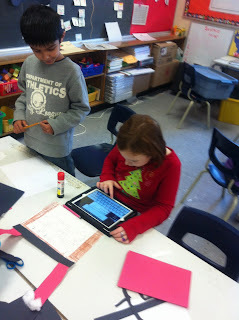 We were lucky enough to get 2 iPads to use! The students are using them for math stations, they are learning their sight words on them, they are tweeting on them and 1 student even created a puppet show on one! Ask your child if they have had the chance to use one yet and how much fun learning is in grade 1 at Eastwood! 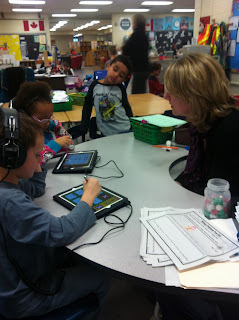 We are playing games to learn our sight words. Using the iPad to post on Twitter.